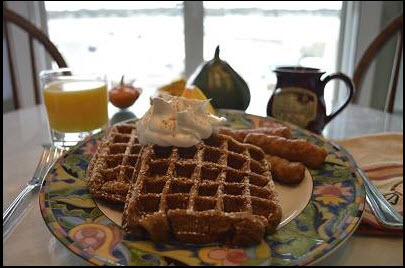 Fall recipes from innkeepers at Distinctive Inns of New England. Ahhhh….fall in New England. For foodies, ther e’s no better time for comfort food. Squash, apples, and everything pumpkin takes top billing on menus and breakfast tables at the 12 Distinctive Inns of New England (DINE) inns. We love the tastes and smells of this time of year as our pie, bread pudding, soup and apple recipes take the stage to please guests. While we know a romantic fall getaway to one of our New England inns is on your bucket list, we understand that sometimes it’s tough to get away at this time. Thus, we’ll bring a few of those aromas and flavors from our inns to your kitchens with some ideas for recipes you might feature on your own table. We’ve combed through our recipe files to create a compendium of fall fare from DINE inns. 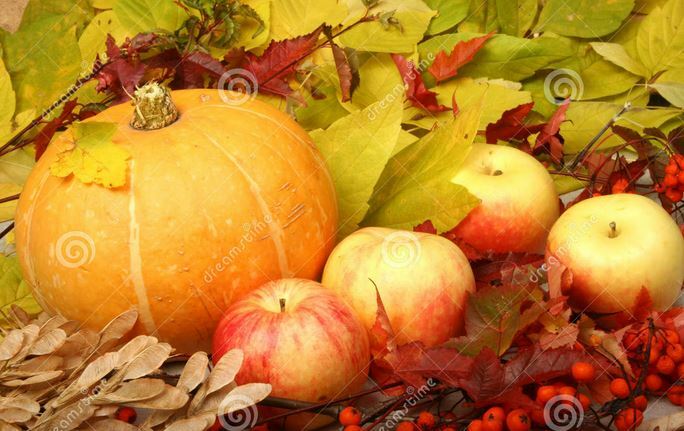 Click on the links below for some wonderful autumn dishes. Then we’ll bring you a few more straight from our inns’ recipe files. And here are a few more ideas offered from DINE kitchens. Bake waffle batter in your waffle maker, then top with whipped cream and then crushed ginger snap cookies. Add to pan with bacon & bacon fat. Cook until all is tender. 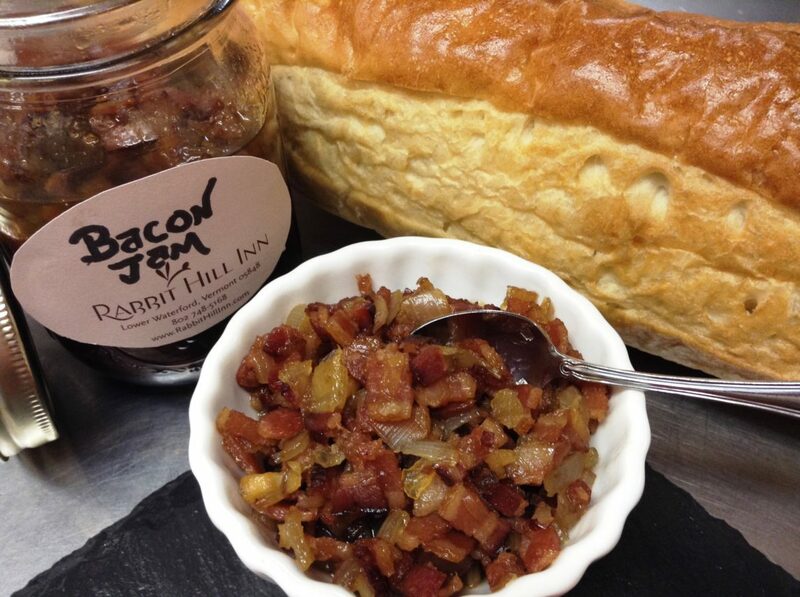 Note from Leslie at Rabbit Hill Inn: This bacon jam recipe will become one of your favorites. You’ll be enjoying this delicious savory jam with breakfasts, entrees, cheese & crackers, and appetizers. It’s heavenly on corn bread (or any kind of bread). You’ll always want to have a jar on hand. We think it would be delicious slathered on fall pork roasts too and might make a great holiday gift too! Plan your 2017 and 2018 getaways at the 12 Distinctive Inns of New England by clicking below on links that will take you directly to each of their websites. This entry was posted in advice, culinary travel, Distinctive Inns of New England, Inn at Harbor Hill Marina, Rabbit Hill Inn, Recipe and tagged Bacon jam, Bacon Jam recipe, Bacon jam recipe from Rabbit Hill Inn, DINE recipes, fall recipes, fall recipes from Distinctive Inns of New England, fall recipes from New England innkeepers, fall recipes from New England inns, fall travel, fall travel to Distinctive Inns of New England, fall travel to New England Inns, Gingerbread waffle recipe, Gingerbread waffles, Gingerbread waffles from Inn at Harbor Hill Marina, innkeeper recipe files, recipes from Distinctive Inns of New England, yummp innkeeper recipes by DINE Blogger. Bookmark the permalink.